A new telehealth service has been launched, called MultiMed360, which streamlines the healthcare service. It provides direct access to doctors and nurses, reduced waiting times, and less cost. A new telehealth service has been launched, called MultiMed360, which offers a range of advantages for patients looking for fast, safe and reliable care and services. The service is designed to offer patients the best healthcare on their own schedule and location. With MultiMed360, patients get on-call access to health professionals. This means that any time they have worries or concerns about their health, they have the peace of mind knowing they can get expert help and guidance. MultiMed360 establishes provider and patient connection through a powerful telemedicine platform. This gives patients the healthcare they need, wherever and whenever they need it. Consumers demand high quality, personalized care and want assurance that their personal information will be safe. Many consumers said that they would be willing to switch healthcare providers if they could access them faster than their regular provider. Getting telehealth services through MultiMed360 aims to solve these issues and problems with high quality service. Patients get direct care access, with cloud based, secured and encrypted connectivity with their doctor or nurse. Most patients experienced even better quality on care services by MultiMed360 in comparison to their regular practitioner. MultiMed360 only uses the very best, state of the art technology to provide patients with the best service. 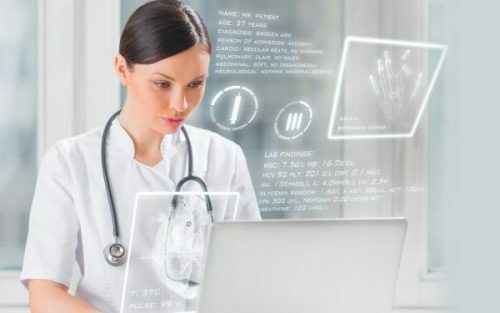 By allowing remote connection to doctors and nurses, the service cuts out the transportation costs and waiting time, and streamlines the healthcare process. Patients can benefit from reduced or no waiting time, and easy access to specialist care and services. As consultation is remotely, the patience is not exposed to diseases in doctor offices or hospitals. In addition to this, the service can help people to overcome barriers to their healthcare – including disabilities, transportation costs, pain, and more.